The Leviton AC/DC Power Supply Module for Structured Media Cabinet (47605PSC) provides an attractive, unobtrusive powering option for Leviton Structured Media Center (SMC) enclosures and eliminates multiple AC/DC power adapters. Its six regulated 12 VDC power ports using the Leviton Structured Media standard 2.1mm power jacks allow the installer to power multiple Leviton 12 VDC modules in the SMC. 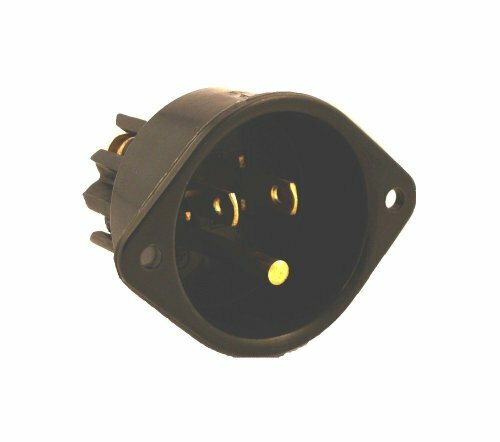 Two NEMA 120 VAC 15 A (total load) receptacles enable two plugin AC/DC power adapters for other DC voltages. Connection to 120 VAC mains is quickly done using the provided pigtails and wire nuts. The Versatile Power Supply nearly hides itself when inserted in the cutout at the bottom of the SMC enclosure. 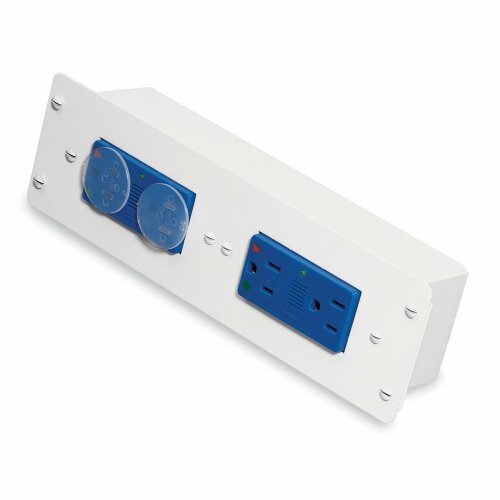 The Leviton Universal Mini DC Power Supply - White (47605-PSB) easily drops into knockouts located in the bottom panel of Leviton's Series 140, 280 and 420 Structured Media enclosures, providing a 12V DC power source for up to 3 devices. The power supply will operate with any incoming AC voltage in the range of 90V to 264V. The Leviton J-Box Surge Protective Kit, Single AC Power Module (47605-ACS) offers reliable surge protective AC Power Modules and J-Box kits. Both the AC Power Module and the J-Box kits work with the Series 140, 280 and 420 Structured Media Centers. Choose either surge protective for optimum protection or non-surge protective. The surge protected options provide EMI/RFI filtering that meets UL 1449 standards. The AC Power Modules feature two 15-Amp duplex receptacles and the J-Box kit features one 15-Amp duplex receptacle. 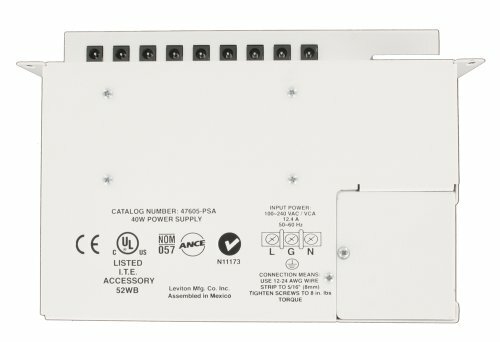 The Leviton Universal Power Supply - White (47605-PSA) easily drops into knockouts located in the bottom panel of Leviton's Series 280 and 420 Structured Media enclosures, providing a 12 VDC power source for up to 9 devices. The power supply will operate with any incoming AC voltage in the range of 100V to 240V. The Leviton OPP20 Super Duty Power Pack is the first power pack designed to control virtually any lighting or receptacle circuit load to meet today's challenges for solid state lighting control and tougher code requirements for unmatched performance and durability. The Power Pack models are cost-effective with simplified energy management tools for daylight harvesting and energy management. The OPP20 is the latest addition to the Leviton Power Pack family, delivering a wide array of switching solutions in a single unit. Submitted for stringent testing, this robust Power Pack line is designed to deliver unmatched performance. The OPP20 line features robust and reliable mechanical latching delays, exclusive fail-safe circuitry, daylight harvesting, bi-level switching and is configurable for energy code requirements(CA Title 24, ASHRAE 90.1, NYC LL 48). 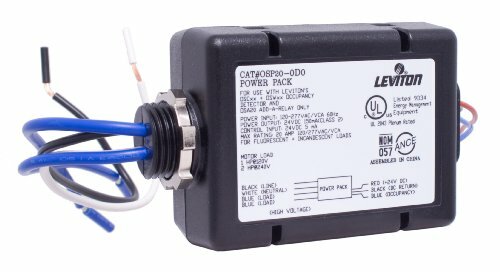 Exclusive Leviton High Inrush Stability (H.I.S.) circuitry is specifically designed to handle high inrush electronic ballast loads and offer unmatched durability and service. 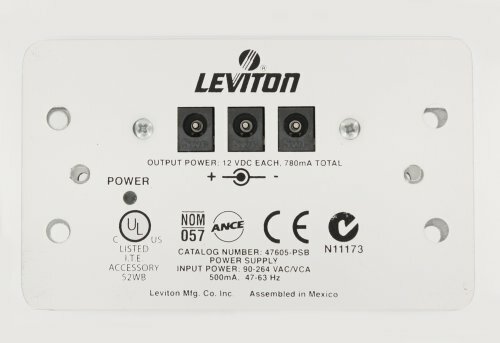 Containing both a 24VDC supply and a 20A line voltage relay for most models, the Leviton compact power pack provides low voltage power and line voltage control for Leviton Occupancy Sensors. Versions include Auto-ON and Manual-ON inputs for occupancy sensors, Hold-ON and Hold-OFF capabilities, and a local input for momentary or maintained dry contact switches. The internal relay can control up to 20A for a 120, 230, 277VAC or 347V ballast load and 20A for a 120VAC incandescent load. 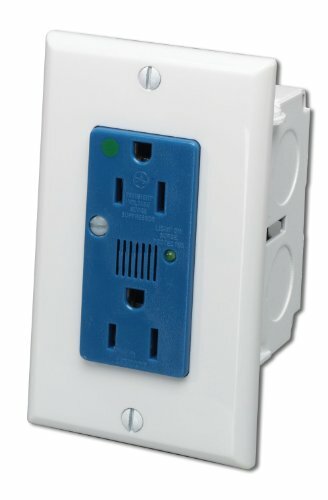 Looking for more Leviton Power Supply similar ideas? Try to explore these searches: 12 Piece Metric Gearwrench, Chrome Tuner, and Homelite Chainsaw Manual.